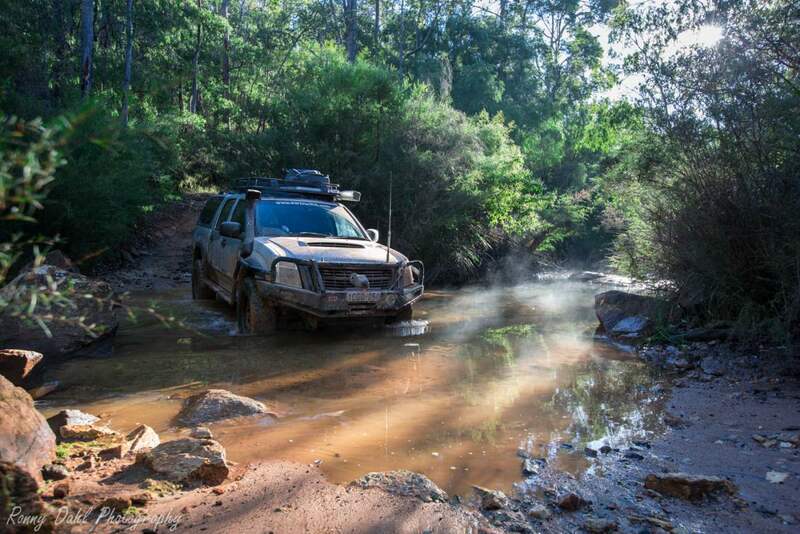 There are many different types of terrain in Western Australia; we have anything from dry desert sand to wet sticky mud. All these require different methods of driving, these could be slowly crawling over rocks or using momentum over sand dunes, if the wrong method is used in the wrong situation the consequences could be catastrophic. The links below will have detailed tips on how to get through these, each type will have variables or combinations: a clay hill climb or submerged sand track. We will try to cover all possibilities as we have experienced all to a degree with our combined experience. Nissan Navara Lifting Rear Wheel. 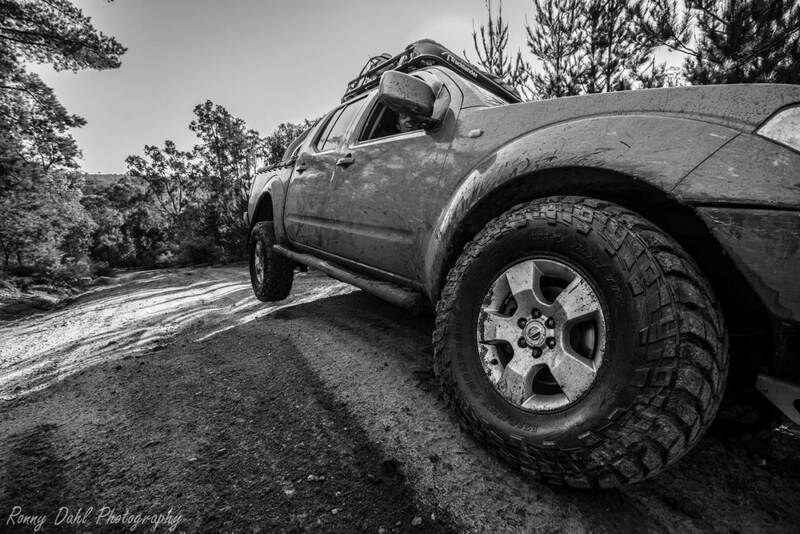 Also Watch This Video: Best Off-Road Tyre Pressure. 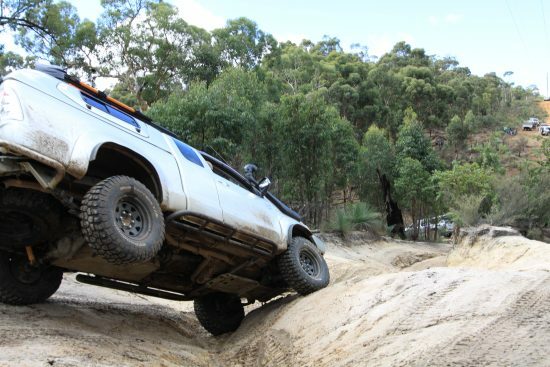 SEE ALSO: 15 Low range gearing tips for off-road situations. Sand track terrain, Beaches, Dunes and Lime Stone. Clay based dry tracks and muddy tracks. Bull dust and harsh jagged rock gravel tracks. How to Conquer and tame bone rattling corrugations. Rocky sections and Rock crawling. Fallen branches, Trees and Overgrown Tracks. For more information see Forest and bush Tracks. Shallow to Deep Rivers and salt lakes. For more information see River Crossing. After driving on off road it is a good idea to check your vehicle for any damage that may have occurred whilst driving. Mainly checking under the vehicle, while airing back up is a good time to check. Even if you don't really know what you’re looking at it will be pretty obvious if something has been damaged, also frequently checking will reduce something happening next time you hit the tracks again as small problems found earlier would have been fixed by the mechanic or yourself before they become bigger problems. 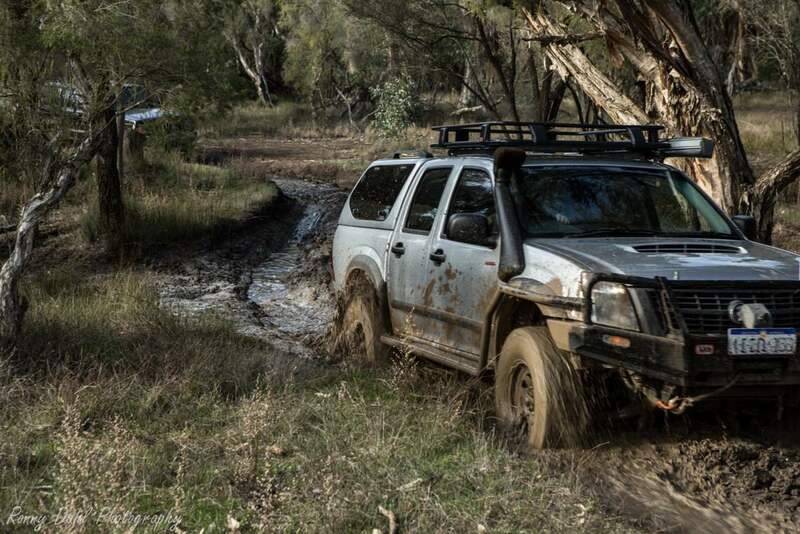 More than likely your 4WD will be nice and dirty after a whole day or weekend off road, it's best to wash the 4wd within a few days especially underneath. If the 4x4 has been through mud it is important to wash underneath with a high-pressure hose, in order to really penetrate the dried baked mud. Mud and beach sand is not the best thing for vehicles as it gets in everywhere, if driving through deepish mud holes make sure to wash the engine bay while the engine is running so it dries instantly. Run water through the alternator (distilled water is best) this should flush out the tiny mud particles out that could cause you grief later on (while the engine is running only). If using water at high pressures make sure that the grease points are regressed next time the vehicle gets serviced. How to wash your 4x4. Also See How Mud Can Damage Your 4 Wheel Drive. Air Up After 4 Wheel Driving. When driving on sand or any lose ground “Four Wheel Drive”will assist in cornering & traction, which is why we use it. If used on bitumen it can destroy your differentials & axels/CV, what happens is called a “windup”. When driving off road in 4x4 you will notice heavy steering when moving slow and turning sharp corners, this is because both you front wheels want to spin at the same rate, however on lose ground the wheels can spin or skip which release some of the wound up energy, on Tarmac they can't (unless it's wet) as the traction is far too great. So if the vehicle differentials can't release the windup through the wheels then something has to give. What’s likely to give way and break is the CVs/axels or worst case the differential pinion and crown wheel (the diff internals). 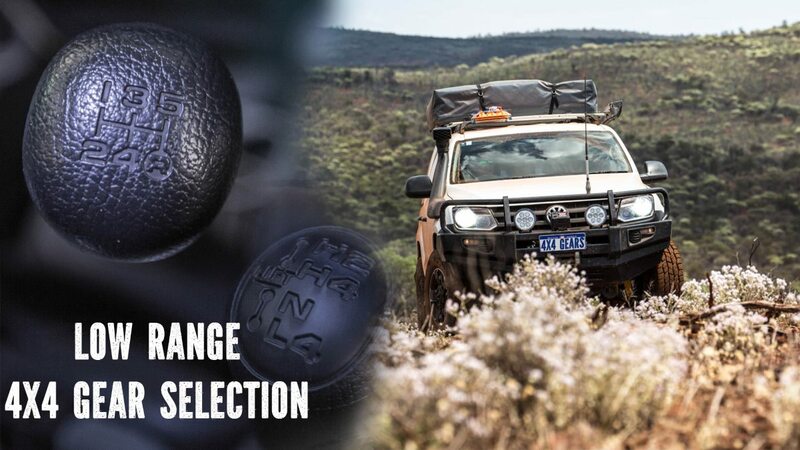 When rock crawling or general rock driving you won't have to worry too much as your 4wd will more than likely release windup when it lifts wheels due to uneven terrain. Front diffs are generally not as strong as the rear diffs, and rear diffs are not used for turning the vehicle, this makes the front diffs more likely to give way. A CV/axel can be replaced on the track if you have a spare and you know what you’re doing (for remote travel a spare CV is recommended to be carried).A diff pinion and crown wheel cannot be replaced on the track and you wouldn't be carrying these parts around anyway. 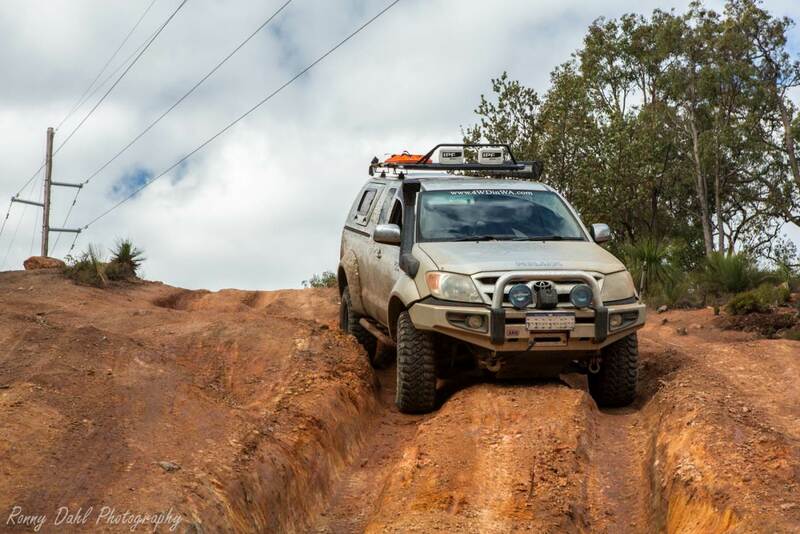 Wherever it's a day trip or a touring holiday every time you reach the tarmac again you will more than likely need to air up again and you WILL have to disengage 4wd. When stopped to inflate the tires back to highway pressures and you have checked the vehicle for any signs of damage, before you take off get on the CB (if in convoy) and just state the obvious "disengage 4 wheel drive". You will be surprised at the amount of times someone will pick up the CB and say "thanks for the reminder" or "oops I forgot". Make this a habit. If by yourself make a habit of after inflating and checking the vehicle also check the dash for any indicator lights: engine, oil pressures, hand break and 4WD). If somehow still forgotten, the steering will be noticeably stiffer. Pull over ASAP and disengage 4 wheel drive. If you make a habit of constantly checking the dash, it shouldn't really be missed. Leave Terrain Conquering And Go To Home Page.